#3, my husband says the same thing! And I love going Out, reguardless how it tastes! At least, I don’t have to clean up!!! Matt, I’ve been clicking links at The Wartburg Watch and ended up here. 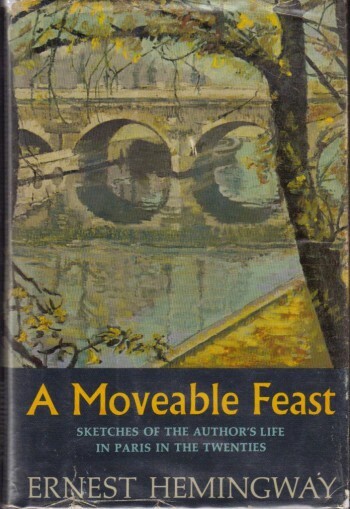 It’s refreshing to find a fellow Hemingway fan, and A Moveable Feast is one of my fun reads too. By now I hope you have read The Paris Wife, which came out a few years ago, a fictionalized account of that period seen through the eyes of Hemingway’s first wife Hadley. Also, rent the movie Midnight in Paris. It’s a Woody Allen production, includes all of the characters mentioned in A Moveable Feast and what a hoot. Also refreshed to find another Susan Howatch fan (Adam Shields, above). She and Hemingway and Chaim Potok are my three favorites.